I don't know if you know this about me, but I don't mess around when it comes to makeup. If I buy something and don't love it, it gets returned because I used to not know you could return merchandise you've tried or that there is no shame in trying out the samples before you shell out on 'em, and therefore, I built up a rather sizable collection of outcasts. I can't be TOO upset about it, though, because I learned what brands I like and don't like, which brands are worth their weight in gold and which ones aren't worth their packaging; and lucky for you, you can learn from my pile of rejects too! In fact, thanks to this blog, my young money wasn't wasted in vain! So today, I'm letting you guys in on NYX"s secret wonder weapon. I ABSOLUTELY LOVE THIS THING! I have it in "Light," and I use it every single day. On my brow bone, on my nose, around my lips, under my liner. It makes everything look sharper, and it's a great highlighter when you just want a little area but a lot of precision. 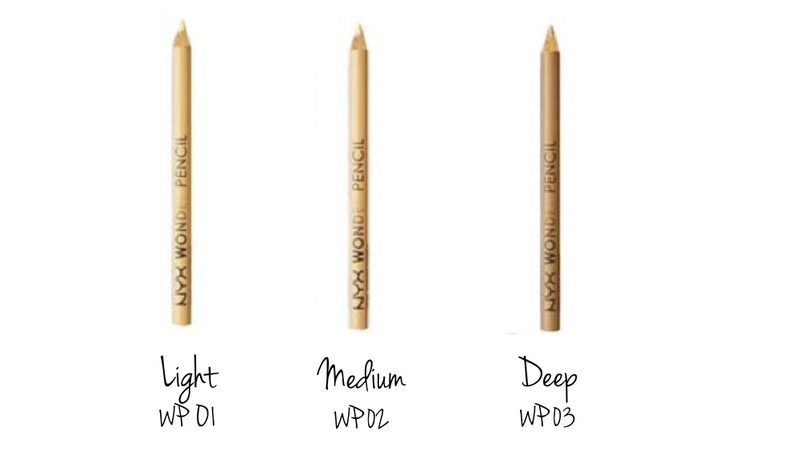 Hollywood makeup artists use white eyeliner around celebrities' lips to create contrast and make their lipstick pop more in photos, but while that's pretty unnatural-looking, the wonder pencil blends right in because it's light but flesh-toned. Check out the pictorial below on where to apply it. And if I may, can I point out that this Heaven Sent angel is only $4.99!?!?! I think you've officially run out of excuses not to own this bad boy.